There are hundreds of restaurants in Myrtle Beach. If you are searching for a place close to Landmark Resort that has great deals and amazing options, check out the following dining establishments. Just over a mile from Landmark is a place envied by many for their spectacular views from their dining room to the ocean and 2nd Avenue pier. They serve breakfast food, fresh seafood, have a kid friendly menu and an array of desserts as well. With your VMB card get 50% off one appetizer with purchase of two entrees. In addition to the restaurant is an upstairs Open Air Bar that that serves drinks food and drinks starting at 11:00 am. At the bar, your VMB card gets you a free basket of fries or onion rings with a $25 purchase. They are just a three-minute drive from Landmark Resort and serve up a wide variety of your favorite Italian dinners. Besides their lengthy options for appetizers and entrees, there is a buffet which includes classic Italian favorites like meatballs and pizza. If you come between 3:30 and 6:00 p.m., the buffet is only $10.95! Angelo's desserts are worth saving room for because they are unique and homemade. Brownie Gelato, Cannoli, and Nutella Cheesecake are just some of the delectable desserts offered. Bring your VMB Card to save $10 off your 2nd entrée with purchase of one entrée when you spend at least $20. This deal may change seasonally so be sure to check the discounts page for the most up-to-date offer! About 10 minutes away from Landmark is the center for food and entertainment. Joe's Crab Shack at Broadway at The Beach is an ideal seafood eatery and has something for everyone. There are lobster and crab leg entrees with fresh sides such as corn on the cob and roasted red potatoes. 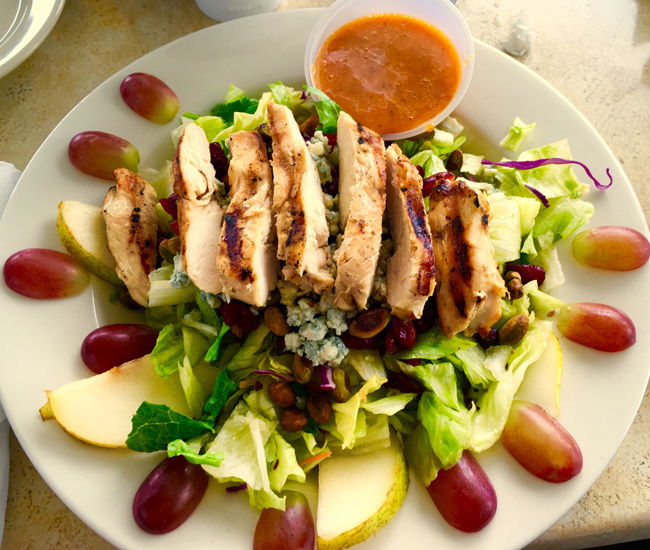 There are also American favorites such as fresh salads and grilled burgers. Bring your VMB card and receive $11.99 off any appetizer with the purchase of any adult entrée. Damon’s is not only the best place for ribs and other American favorites, but it also serves up a fantastic view of the Atlantic. 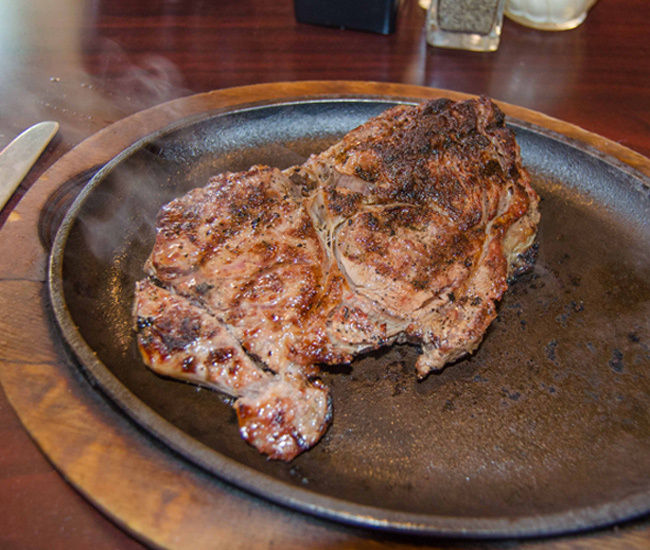 Damon's Grill is comfortably close to Landmark Resort, as it is only a four minute drive away; you could even walk there if you wanted to burn off some calories with the 2.5-mile round trip walk. Damon's menu includes starters like Damon's Famous Onion Loaf, entrees like shrimp and BBQ ribs and desserts like deep dish apple pie. Between the drinks, food and view, you will have hit the tasty trifecta at Damon's. The VMB Card will save you on a choice of a free Famous Onion Loaf, artichoke dip or chocolate chip cookie sundae for your party with an entree purchase. These are some of the best, nearby Myrtle Beach restaurants that will fill you up without emptying your wallet. If you are trying to stay near Landmark, take a stroll or drive over to these places and enjoy! Which nearby restaurants are your favorites? Comment below!